Danny Rand, the Invincible Iron Fist. Danny Rand might have shown up to help his pal in Luke Cage season two, but he has a lot more work to do on his own. We got our first look at the upcoming new season of Marvel and Netflix’s Iron Fist at Comic-Con today and it looks...surprisingly good. Marvel also premiered a lot of new Iron Fist footage at its San Diego Comic-Con panel (which Marvel has annoyingly not released). Con-goers were treated to a number of scenes showcasing what new fight choreography Clayton Barber—who did Black Panther—dreamt up for Danny, Colleen, and Misty Knight. It can’t be overstated how drastic an improvement there is. One scene, in particular, finds Danny and Davos in K’un-Lun (in a flashback) during one of their final tests to decide which of them is worthy of facing off against Shou-Lao. After donning masks reminiscent of Iron Fist’s from the comics, the two students are bound together with a long belt and made to beat the everliving hell out of each another until one of them yields. 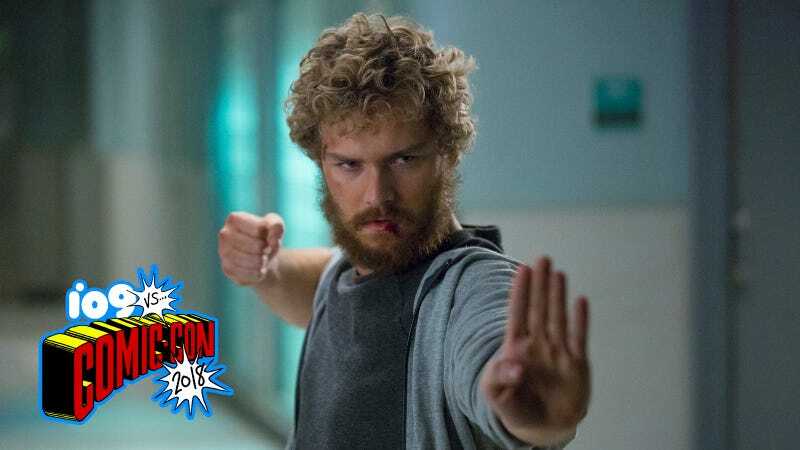 As brutal and bloody as the face-off is, it’s also fluid and elegant in a way that feels fresh, new, and exactly like what you want from Iron Fist. Beyond the fighting, however, Danny has become much more of a hero than he was at first, thanks to his encounter with Daredevil during The Defenders series. Marvel’s Jeph Loeb explained that fighting alongside Matt Murdock in The Defenders is ultimately what inspires Danny to use his Iron Fist abilities to become a proper street-level vigilante. Though the Devil of Hell’s Kitchen might not make an appearance in Iron Fist’s second season, his influence on Danny’s going to play a huge role is in the show’s plot. While it remains to be seen how much the show will truly improve, the Comic-Con footage actually has us optimistic about the new season, which premieres on September 7. It finally feels like Iron Fist may have figured out want people wanted out of this show in the first place.